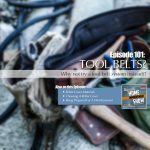 EP94: Tool Belt History, Hiring a Contractor, and Baking Soda Super Hero! For some reason, most of us associate tool belts with guys. And more specifically, construction workers. But did you know its origin is actually as a piece of female jewelry? Even back in the times of Ancient Rome, it was a piece of jewelry that served a purpose. And ladies, you can take a cue from Fendi and make it a fashion statement! 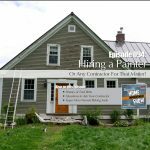 And we’re lucky enough to have Jon DeGraaf, Owner and President of Jon DeGraaf Painting, sit down and discuss steps we should take when hiring a contractor. Now, we talk about a painting contractor, but this information is good for ANY type of contractor you hire! And, if you happen to be looking for a painting contractor, we can help! Call any RepcoLite or Port City Paints or stop in. You can also fill out the form on our webpage and we’ll email the names and contact information of painters in your area who would be PERFECT for your project! And last, but certainly not least, is a segment dedicated to the super hero in your kitchen cabinet: baking soda! It has tons of cleaning and deodorizing uses, but it will also go a long ways to keeping your stomach in check with certain foods and drinks. It really should be wearing a cape!